First things first, being warm outside is the most important thing to get right. Without warmth, you can’t get cosy and therefore won’t enjoy being outside at all. However, the good news is that this is easily achieved. Some people may look to outdoor heaters to keep them warm but they can be large and often ugly. 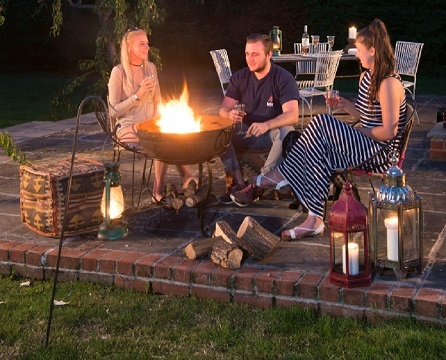 However, with an Indian fire bowl, you not only get incredible heat but also a truly beautiful garden feature that people will want to be around. Nothing beats being huddled around a fire at night, tucked under a blanket. The dazzling, warm flames provide a beautiful sight and perfectly set the mood for a cosy, snug winters evening. It has the ability to be both a bold centrepiece and a subtle heater. Bring your blankets, bring your drinks and enjoy a relaxing evening around the fire. To create a truly wonderful winter wonderland this year then it’s important to find the right place for everything. For example, if you own a fire bowl then you may wish to think about whether you want this to be the focal point, a warm spot for everyone to sit around, or perhaps more in the background where it’s ready for cooking on. Either way, choose an area in which there is protection from the wind, especially if you are burning wood as the burning embers can get blown out of the fire. Also, think about where best to light with lanterns and lights. Creating a border with lighting not only creates a safe place to stay in but also makes the entire area look extremely inviting. ⦁ Use warm lighting to add a cosy feel. ⦁ Avoid using too many things outside. Try not to clutter your garden, keep it simple and relaxing. ⦁ Never underestimate the power that food and drink can have. 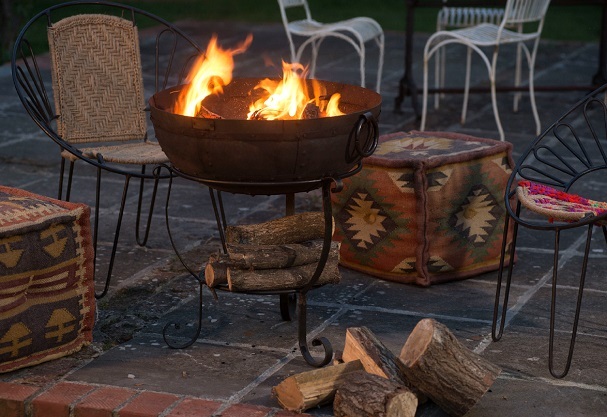 ⦁ Find the best and safest place for your fire bowl. 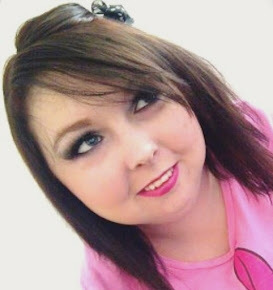 ⦁ Check websites for design tips and ideas, such as Pinterest. ⦁ Create a well-lit border and path. ⦁ Find the right place for everything. ⦁ Find a style and stick with it. Turn your garden into an Indian style chill out area or a modern, tranquil space. ⦁ Don’t be afraid to overdo it on the cushions and comfy seats. We have a fire pit in our garden and it comes in really handy in the winter! So warm and toasty! Oh how I wish we had a fire bowl to use during these cold winter days! It just looks so cosy and perfect! This is such a cute idea! An outside fireplace is the key!! I am sooo bad in the winter, I don't go in the garden at all. However, a fire bowl or pit would convince me otherwise!